Samsung caters to all price ranges, so if you’re looking for a Samsung Android smartphone under 5000, you may be surprised at the options you’ll have at this price in 2017. If you’re looking for premium phones, check out our comprehensive list of the upcoming phones in 2017. We also have a great list of phones under 10,000. Samsung is a leader in many segments of the technology industry. They are known for their high-quality products, including TVs, appliances, tablets and of course smartphones. Samsung phones are known for their state of the art features, craftsmanship and design. Picking a new mobile is a big deal, right? It’s a medium-term commitment since you’ll likely have your mobile phone a year or longer. We all have different schedules, priorities, and needs, so there is no one-size-fits-all smartphone that is best for everyone. Things like battery life, screen size, camera quality, Wi-fi/Bluetooth capability, and type of processor will all play a part in your decision. We decided to round up a few of the most popular budget Samsung smartphones available in India in 2017 and test them out. We wanted to see their features and capabilities in action, and to try and find the best ones among this price range. Now, let’s get to the list. The Tizen T2 is a dual SIM, quad core 1.5 GHz CPU. The Super AMOLED touchscreen is colorful, responsive, and big enough at 4 inches. Super AMOLED offers better viewing in sunlight than regular AMOLED and consumes less battery as well. This phone also has two cameras. The back camera is 5 megapixel and is equipped with flash and auto-focus. All things considered, the camera can get the job done, and take decent pictures. There’s also a front-facing, .3 megapixel camera. The quality isn’t great, but it’s enough for a selfie. As stated before, the T2 runs on a 1.5 GHz processor. The phone quickly responds to touch commands and loads application quickly. You can switch between apps quickly without interruption from slow load times. It supports Wi-fi, 3G, 4G, GPS, and Bluetooth. The 1500 mAH battery will last most of the day considering normal usage. This the best and only Dual SIM smartphone under 5000. The J1 Ace offers many of the features that the T2 did, but in an upgraded fashion. This android smartphone makes our list because of it’s large screen, long lasting battery, and impressive camera. The J1 Ace has a 4.3 inch, Super AMOLED display with a decent 480 x 800 pixel ration. As stated in the first review, this type of screen is perfect for it’s battery-saving ability. This phone is powered by a 1.3 GHz dual-core processor. If you like taking selfies, then this phone will appeal to you. The 2-megapixel front camera takes really nice pictures. This front camera also allows you to do video calling. It does have a 5 megapixel, auto-focus and flash enabled back camera too. The calling card for this phone has to be the big 1800 mAH battery. It provides all day reliability, with 8 hours of talk time before needing a charge. Another affordable option for the Indian market on our list is the Galaxy Star Advance. It can be described as bare-bones compared so some of the others on our list, but it still manages to pack enough features in to be worth the price. The 4.3-inch touch screen makes this phone one of the cheapest for a display this size. The resolution isn’t fantastic, but the screen is colorful and responsive. The 1.2 GHz processor powering the phone seems to have enough power to do it’s job. Navigating through different screens and menus was not an issue. This is awesome at this price. The star advance has the bare minimum covered, too: Wi-fi, Bluetooth, and FM radio come included. No GPS or 3G, but who needs those anyway, right? We like this Galaxy Fit because it’s an excellent middle of the pack option for the Indian market. This phone is well under 5000, but it still has some of the same features as the best mobile phones on this list. This is also a smaller, lightweight phone compared to the others on the list. The screen measures 3.3 inches. It has a 1350 mAH battery and a 600 MHz processor. For this efficient phone, the battery life is really great: 10.7 hours of talk time, 26.8 days of standby. Even though this smartphone is small, it packs a punch. It has Wi-fi, 3G, Bluetooth, GPS, and an impressive 5 megapixel back camera. 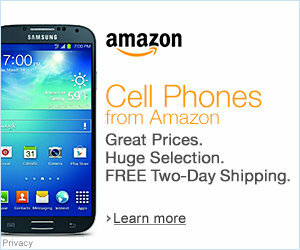 This mobile phone makes the list for being a great bargain stuffed into a small package. By far the smallest phone of our list (2.8-inch screen), the S3770 has big-time features like 3G and Wi-fi. The battery life isn’t great, but this is a full blown, mini smartphone that can take decent pictures, connect to Wi-fi networks, and has 3G connectivity. Considering all factors, the Champ is a decent entry level smartphone under 5000. After looking at our list of the best Samsung mobiles under 5000, you’ll hopefully have a better idea of the purchase you want to make. As you can see there are options for everyone, and this price range has plenty of good smartphones to choose from. Best of all, you can trust and rely on any one of these products because they bear the Samsung name, which is a quality brand through and through.